For the readers of Ristomanager we continue the series of interviews to discover the secrets of these beautiful craft! Today we interview a young Foggiano of 21 years, who for some years has been cultivating the dream of becoming a very good pizza chef. His name is Marco Stango and he gladly accepted to answer some of our questions. Hi Marco, tell the readers of Ristomanager how your dream of becoming a pizza chef was born. Hello everyone and thanks for the chance! My name is Marco Stango, I’m 21 and I’m from Foggia. My passion was born a few years ago, when I was about 14 years old. At the beginning it was my father who pushed me to start, almost forcing me to do it, because I was not very convinced that I could become good. But from the beginning I sensed that I was good at doing this work and that it came naturally to me. From that moment on, the road to becoming a pizza chef was challenging, but I did it, even if the road to success and excellence is still long. Have you studied in recent years to improve your vocational training or have you limited yourself to practical experience in the field? Look, I have worked a lot in these years and I continue to do it, but I realized that forming together with other people and colleagues is important. I studied in an association of pizza chefs called Passion Pizza, and has at least 60 members, all part of Southern Italy. For me it was an important and evolutionary experience, because it allowed me to get involved and to compare myself with other pizza makers, who taught me so much. In your work inside the places that flour you use? Do you have any preferences? I have no particular preferences from this point of view because I try to adapt to the demands of the place and the type of product I want to offer. At this time I use Polselli’s five seasons flours and I find myself very well. Marco know that at this moment you work in Ancona and that in recent weeks you have participated in the Master Pizza Champion championship in Bari. How did it go? 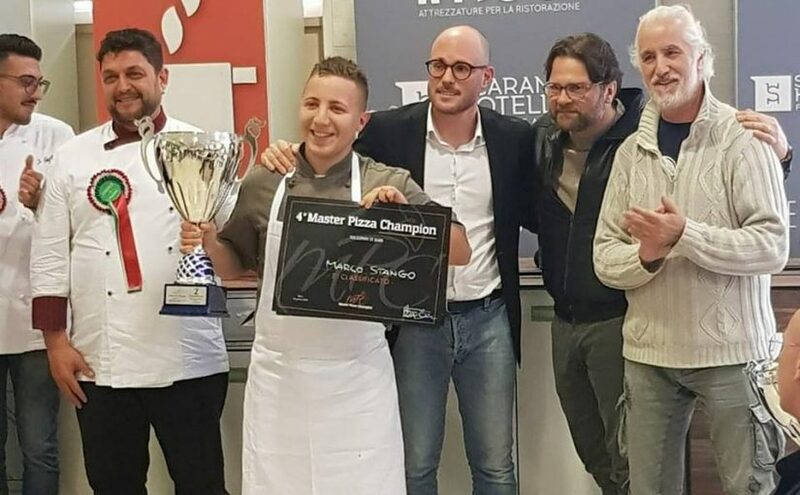 You work in Ancona until September and some time ago I participated in the Master Pizza Champion because I wanted to compare myself with the best pizza chefs, without fear and with the awareness of being able to play my part. I must say that it went quite well and I finished second and if I have enough votes I can go to September to record the TV program, dedicated to the event! Marco to conclude the interview reveal your dream in the drawer and if you like, say hello to our readers. I hope to open a pizzeria of my own and try to experience my qualities as an entrepreneur! Greetings to readers of Ristomanager, to whom I asked to vote by clicking on this link. Inside there is a youtube video with my name and at the end of the page you can vote for me by writing your data and following the directions! A big hug and I hope to hear from you soon! Ristomanager: the advantages quality / price of the software. Ristomanager: information on costs for the user. 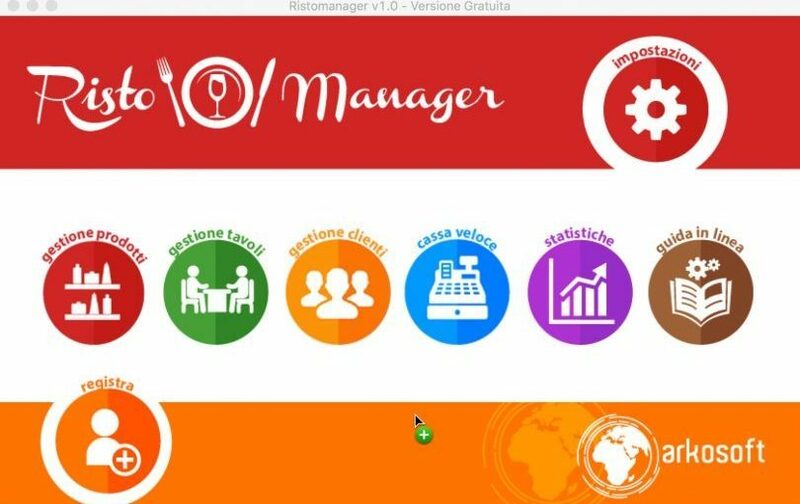 Ristomanager, the simple software for restaurant management, is also convenient for buyers. updates, developed from month to month based on the needs that are provided by you. technical assistance guaranteed by Remoto we enter your PC / machine and solve your problems for you. 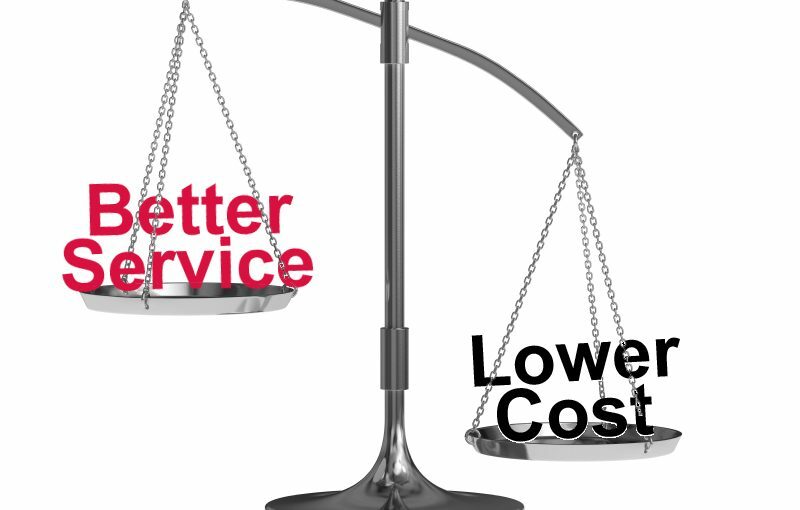 Ristomanager and “the others”: comparisons with the pricing policies of other software. Very often we consider that € 300 a year is an “excessive” expense, but it is not, especially in light of the market prices of restaurant software and the fact that it is not calculated how much assistance can be requested a software that carries on your room every day. In many cases, in fact, the cost of a software “that you buy once and for all” also comes to € 5,000. So we are talking about exorbitant figures that, even once amortized, do not guarantee users anyway “finally” my software. To the expensive cost of the installation is added of the software updates. Updates that are made and released on the market by software houses on a monthly basis. Updates that you are free not to install, but an “older” version of a software is more susceptible to viruses and bugs. They make your application unusable, and force the user to buy the license again. This with Ristomanager and other Arkosoft home programs does not happen: the updates, as we have seen, are ALWAYS free. A third item of expenditure is assistance. A “one-off” expense item, this is true, but it is also here that you notice the Arkosoft ethics. Other software houses, when a user calls for assistance, they charge both the intervention and the simple call. Not so Arkosoft: in its subscription of 300 € a year to Ristomanager the cost of assistance is included. There is no doubt that in Italy, in spite of the terrible economic crisis, there is only one sector that continues to operate and to give professional possibilities, the kitchen and the catering sector. Our kitchen is still one of the most appreciated in the world and certainly the dishes that still stimulates the imagination of those who love Italian food, is definitely pizza. 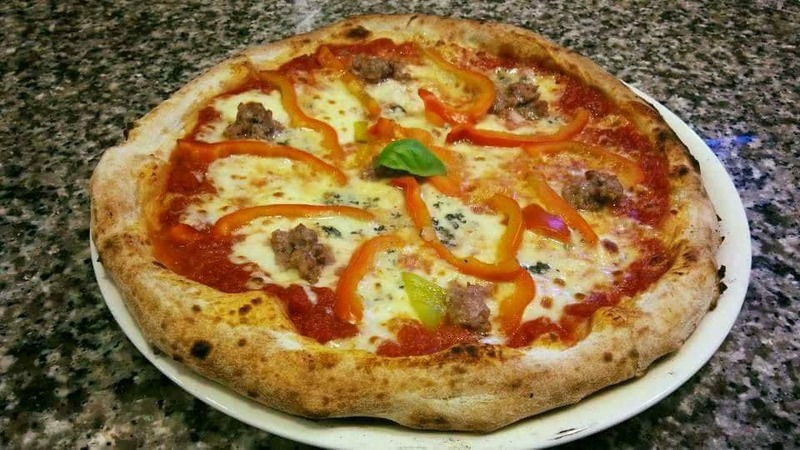 Thanks also to successful television programs, many people cultivate the dream of establishing themselves professionally in the kitchen and the job of the pizza maker in this sense is one of the most popular in this historical period. 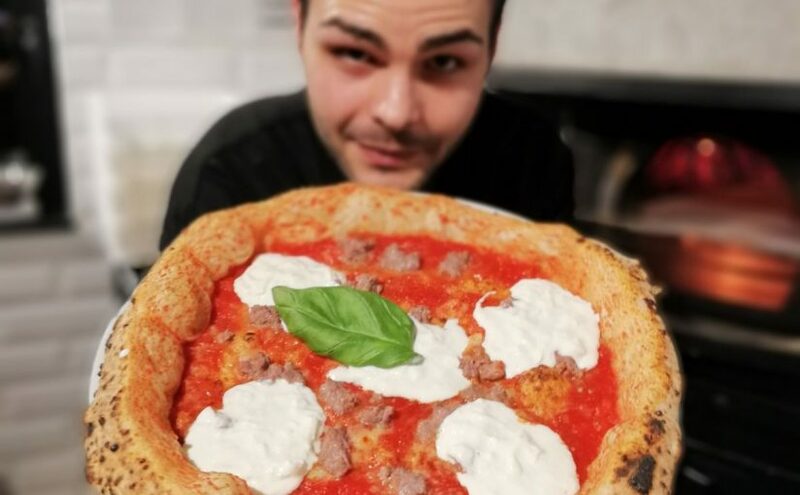 We meet Roberto Gallo, a 26-year-old boy, who managed to achieve his dream of being a pizza chef, and who accepted to answer some questions for readers of Ristomanager. Hi Roberto, tell us something about yourself and your passion for pizza. Hello everyone, my name is Roberto Gallo, I am 26 years old and I was born in Chieri, in the province of Turin. The passion for pizza was born in a concrete way about 8 years ago, when my brother, also a pizza chef, offered to help me in the oven where he worked. Since then I have never ceased to love this work, which for me is not just a profession for gain, but a real vocation. Please note that my family of Calabrian origin has worked for many years in the catering world. In fact, my brother and my father are pizza chefs, my mother and my sister are cooks! Before starting to work did you attend a course, a school or did you have a teacher who taught you the job of the pizza chef? My training took place directly on the field thanks to my brother who allowed me to work with him and he taught me many things. Subsequently, and to be precise 2 years ago, I met Enzo Cacialli. He is a Neapolitan pizza maker and is the owner of a pizzeria in historic Naples, which is called Antica pizzeria O Presidente. I will never stop thanking him because he taught me all the secrets of the trade and encouraged me on my journey. He is a great master of Neapolitan pizza and I took his place in the pizzeria, where I work right now, the Ristorante pizzeria Emporio, in Rondissone, province of Turin. is the quality of raw materials to you. I think every pizza maker has to use the flours he thinks best for the kind of service that the place he works with wants to offer his customers. I personally use only flour from the Caputo mill, with red Caputo and type 1 mixes. I love this flour because it is ground to stone and this aspect is a guarantee from the point of view of quality, because, unlike mechanical grinding, it does not lose nutrients to the grain. Obviously the quality of the raw materials is fundamental for the success of the product. I do not like those who work in that way. 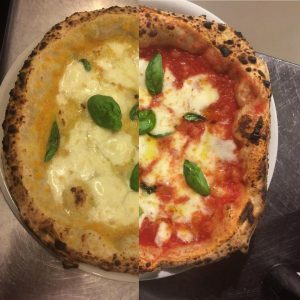 I think it is necessary that a good pizzaiolo know how to create the right alchemy between the dough and the ingredients. Do you have a dream in the drawer? And can you greet Ristomanager readers? My dream is to participate in the world championship of pizza and maybe to win it! In general my goal is to continue to evolve in my work and to grow my passion for pizza to many people. Greetings to all readers of Ristomanager and I hope in the future to discuss with you on all aspects of this extraordinary dish! There is no doubt that one of the working sectors, which works most at this historic moment, especially in Italy, is that of catering and therefore more and more often many entrepreneurs decide to embark on the complex adventure of opening a restaurant. Obviously, the management of a restaurant is not easy under many points of view, such as the economic and fiscal, but even the difficulties from an organizational point of view should not be underestimated, especially if the place is very large and frequented. .
Fortunately, technology is often a great help and support in organizing daily work. An emblematic example is represented by software for catering, which are now becoming of fundamental importance from the point of view of the optimization of work processes, as they allow to speed up those daily operations, which usually take place manually, and consequently reduce considerably the margin of error. From this point of view ristomanager represents an instrument of remarkable quality and great effectiveness, by virtue of its many services and above all for its simplicity of use, which makes it suitable for everyone and therefore also for those who are not very practical with technology. There are countless advantages of having ristomanager for the management of your restaurant business. Let’s see them together. A really important service is the function of the statistics of your activity. In fact, often one of the difficulties for those who run his restaurant has to do with analyzing the results of their business. But thanks to ristomanager and its statistics you will know every single piece of data useful to monitor your work. Another important element of this innovative software concerns the management of products and tables, which if done manually becomes very complicated and with large percentages of error. Through our software for the products, you can accurately set the quantities available for each item. Instead of the tables, you can download on your tablet the fantastic app of ristomanager, useful to see the situation of your tables, in real time. If you connect to our site you will benefit from various options to start using our fantastic software. 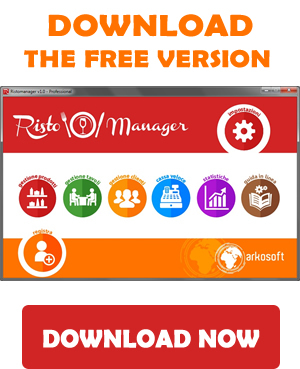 In fact you can choose to download the free version of ristomanager, which will allow you to experience the service up to 500 orders. If you will satisfy the software, you can choose between the Professional and Advanced versions, with which you will be able to make a qualitative leap in your work of managing the restaurant business. The service of the two versions have similar characteristics, that is one year, no advertising banner and free assistance for one year from our technical sector. The Advanced version, however, has a big plus plus that is the great possibility of connecting an unlimited number of tablets to a single installation. You just have to put aside your perplexities and your doubts and try ristomanager!